MARLIN, TX — The former city manager of Marlin continued to show up to work a few days after the city council unanimously voted to fire him. The vote happened on March 12 , but the termination agreement between Alan Grindstaff and the City of Marlin shows his employment didn't officially end until March 15. Marlin Mayor John Keefer said Grindstaff was given a few extra days to make the transition easier. Keefer said he needed Grindstaff to show him what he was working on, since those responsibilities will fall on him until an interim city manager is hired. "I needed to know what he was working on, I needed to know where everything was at," Keefer said. "He worked very limited days. I think Friday, he worked only two hours. He was here three hours on Wednesday." But people reached out to us concerned by Grindstaff's presence at city hall. They said Grindstaff was shredding documents while he was there. Keefer said he didn't know the shredding was going on, but he's not worried about it. He said routine shredding happens somewhat often, especially on Wednesdays when people shred to earn community service hours. 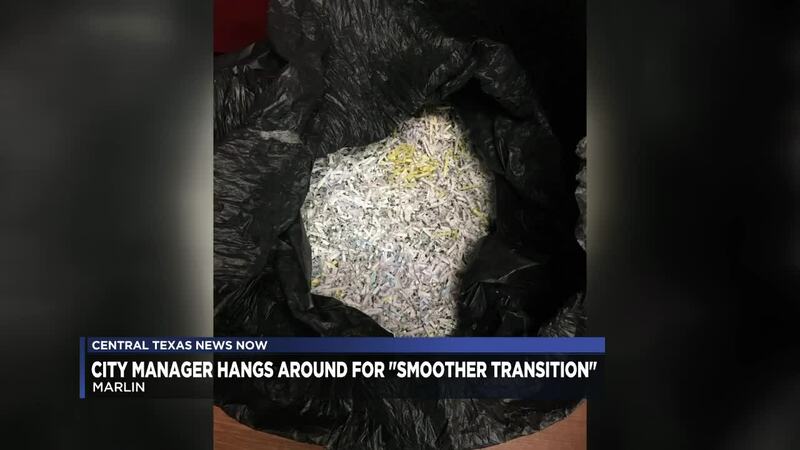 "It kind of sounds and looks funny that it's the day after he was fired but, you know, really and truly, I've seen shredding done on a regular basis on Wednesdays because of our community service," Keefer said. Keefer said he doesn't question Grindstaff's morals, adding that he was let go because of his performance and not because he was untrustworthy. "Knowing the gentleman, I've never had an issue with him," Keefer said. "Throughout my career of hiring and firing people, I can usually feel if someone's going to be a concern. There's never been a reason where I would not trust the gentleman." Grindstaff is still welcome at city hall, but as a citizen rather than an employee. Keefer said he has turned in his keys and that all of his passwords have been changed.